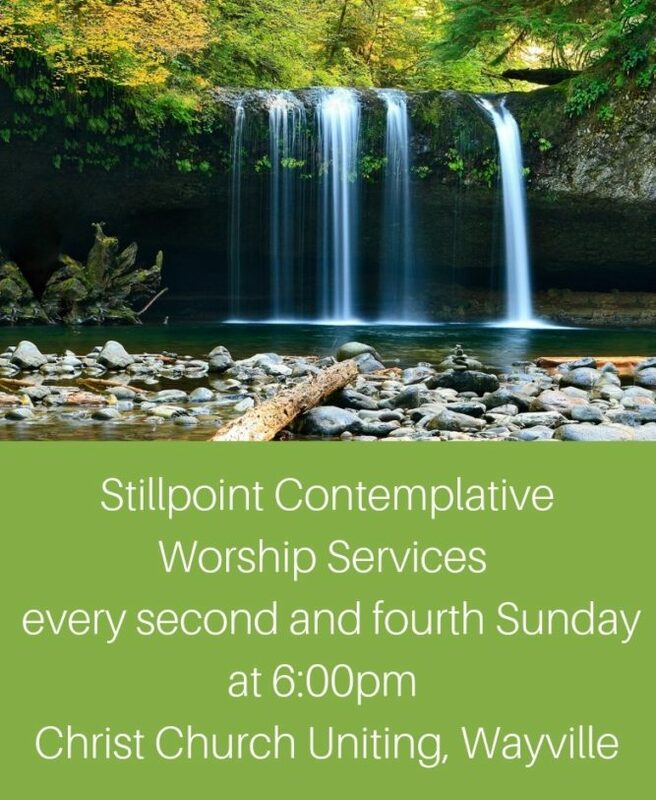 ‘Stillpoint Contemplative Worship, Christ Church Uniting at Wayville’. We look forward to seeing you and to breaking bread together in Holy Communion and round the supper table afterwards, every second and fourth Sunday of the month. ‘Midweek Meditation’ held every Tuesday at 11.00 am – 11.45 pm. Tuesdays we meet at Blackwood Uniting Church to say the Daily Office, followed by a time of Meditation, with Holy Communion at noon. Thursday 10:00 am to 2:00 pm. Email messages may also be sent at other times. 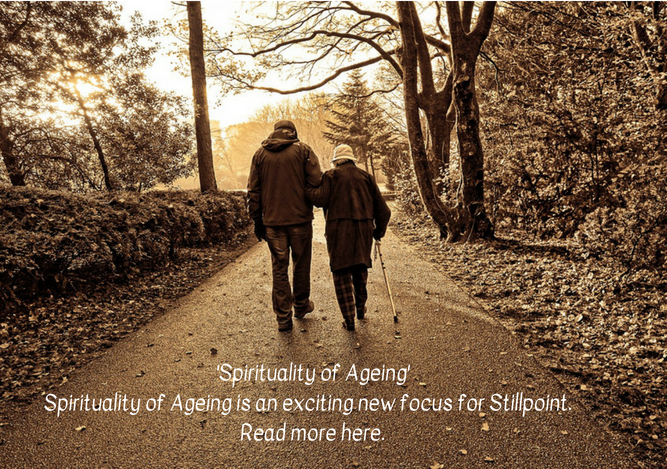 Click here to download a copy of the brochure Living from the Stillpoint: Prayers and meditations for ordinary days. ‘The Word Became Flesh and Lived Among Us’ is a study written by Lynona Hawkins for personal retreat during Advent season. Cost $15. 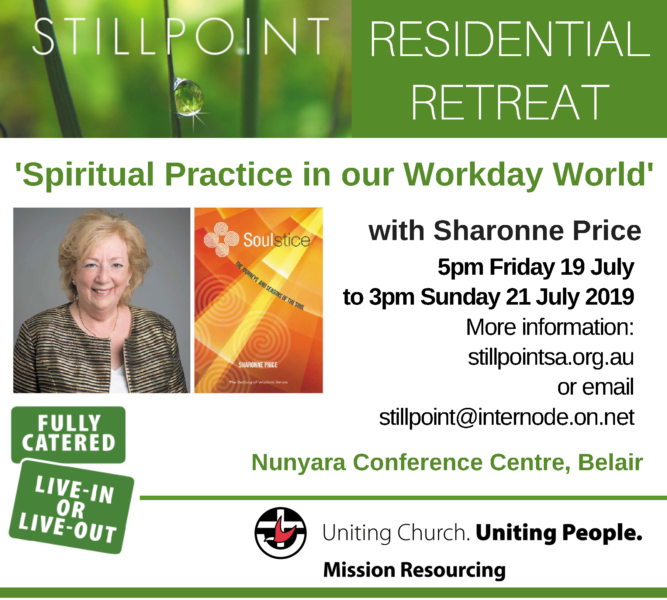 Contact the Stillpoint Office for assistance.